and after a quick google search i found this image (Above) and said to myself "HOW THE F**K DID I MISS THAT UNTIL NOW!!!" 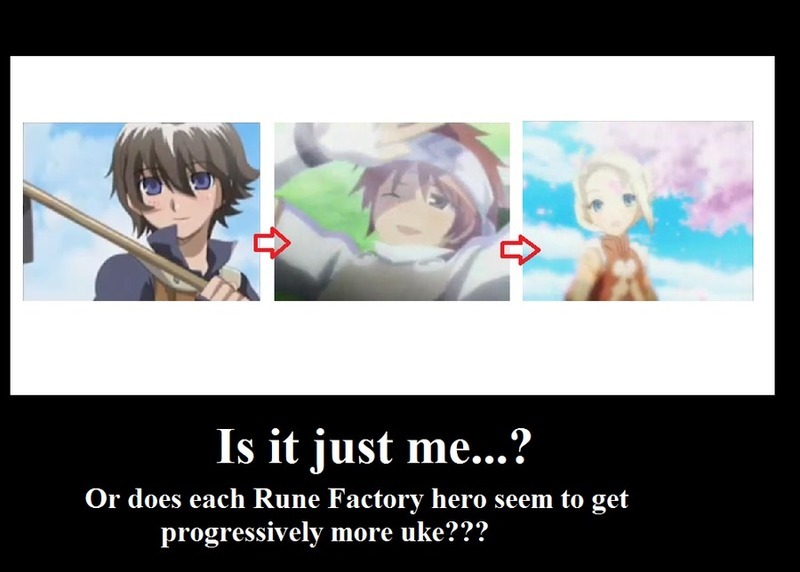 So yeah what do you think if any of you actualy ever played it do you think that Rune Factory Protagonists become more Uke with eery sequel? KEIRYU MASTER OF INSANITY...out (Currently questioning all my Rune Factory Experience...).